If your payment processing needs aren’t being met, we can help. The UniPay gateway is modern, full-featured software designed by experts in the payments industry. It isn’t something cobbled together from old systems nor is it something that’s just being developed now. It’s a rich and robust payment processing gateway built as open source commercial software. That means you can adapt it to your requirements or have us customize it to meet your needs fully. It was designed with flexibility built in. No matter your need, we may be able to help. 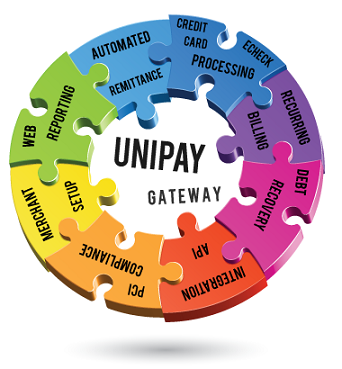 Please contact us to learn more about how the UniPay gateway and the United Thinkers team can help you move on from your payment challenges and move up to smooth, reliable payment operations. At United Thinkers, we’re more than just the UniPay payment gateway. Our team of payment professionals has experience throughout the payment industry and over the long term. Turning to us means you’re turning to a wealth of resources beyond just a software product. Contact us now to learn how your company can move forward and move up with the UniPay gateway. We’d like to show you how our product works – and how or people make it the best in the industry. Why not set up an appointment now? How can we help you? Let’s find out! Discover various types of supplementary services, which are possible though UniPay gateway. Learn about payment gateway services partnerships available. UniPay Gateway is the accomplished payment gateway software, being flexible and customizable it meets the requirements of the most demanding clients. The choice of UniPay gateway is the choice of the reliable, time and industry tested payment solution, which can help your business to become more competitive and profitable. All Logos and Trademarks used or mentioned on this page are copyrighted property of their respective owners and are used for display purposes only.